BEIJING, Sept. 4,Chinese President Xi Jinping on Tuesday met with Kenyan President Uhuru Kenyatta who attended the 2018 Beijing Summit of the Forum on China-Africa Cooperation. Xi said the China-Kenya comprehensive strategic and cooperative partnership has enjoyed rapid development and is leading China-Africa cooperation in various fields. 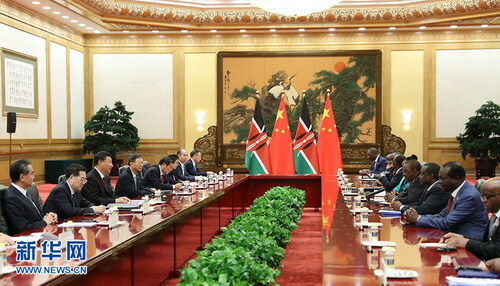 China is willing to strengthen inter-party cooperation and governance experience sharing with Kenya, expand cooperation in the areas of agriculture, infrastructure construction, medical care and health as well as industrial capacity, and enhance people-to-people and sub-national exchanges, helping Kenya achieve its Big Four Agenda, said Xi. China welcomes Kenya to participate in Belt and Road cooperation, congratulates its accession into the Asian Infrastructure Investment Bank, and will support Kenya in building an economic belt and industrial parks along the railway lines, Xi said. 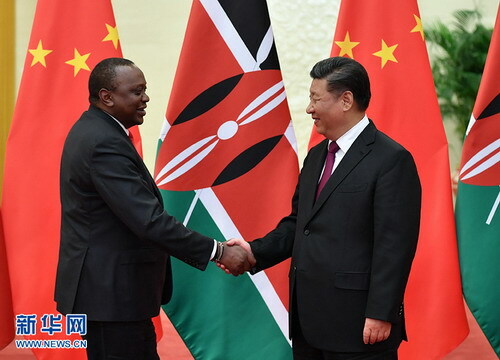 Kenyatta said the summit made plans for the direction of the forum in the coming years and will promote the common prosperity of Africa and China. Kenya is willing to deepen its comprehensive strategic and cooperative partnership with China, actively participate in Belt and Road construction and promote connectivity, said Kenyatta.